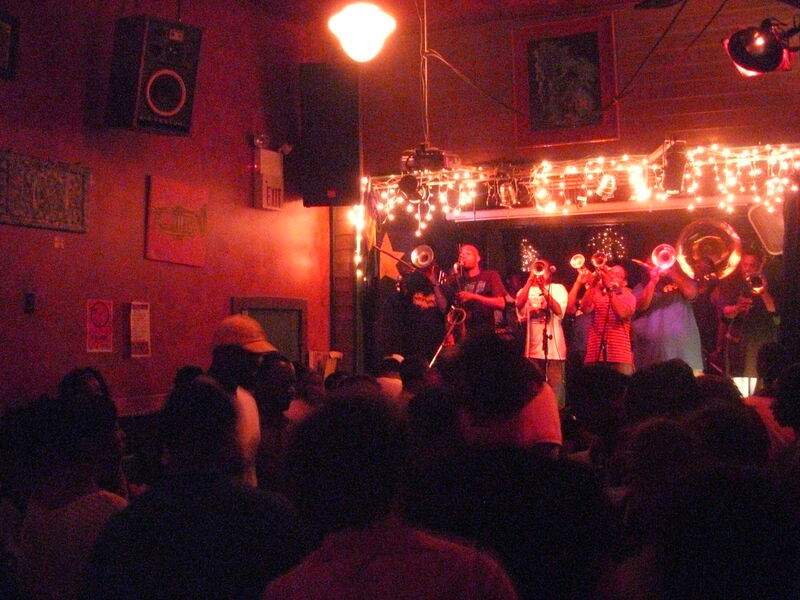 And sometimes you have nights like these: I got on my bike after the basketball game (I ❤ you, Kevin Durant) and headed down to the Marigny to meet S. and friends the check out The Stooges, a fantastic brass band with a standing Thursday night gig at the Hi-Ho Lounge. The music was ridiculously good, and I danced and drank and danced and danced, along with a whole bar of other folks. You know what a lot of music misses? A little brass. So good. There’s just nothing like the brass band, and I wonder what I did before brass bands came into my life, and I don’t know what I’ll do without them. In between sets we lingered outside, the smell of barbeque wafting, people laughing, enjoying another unseasonably cool May night. When it was time to go, M. and I walked our bikes with S., who foolishly left her bike at home–tsk tsk. And then there was porch sitting and gossiping and a ride home on absolutely empty streets, listening to nothing but my breathing. Oh my, but I love riding my bike around this town! This entry was posted in music and tagged brass bands, Hi-Ho Lounge, Marigny, New Orleans, The Stooges. Bookmark the permalink. I know just what you mean about brass bands. I don’t remember my life before them either.